Is Samsung Galaxy S4 popularity on the slide already? Are you bored of the S4 yet? 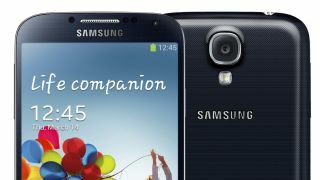 After breaking sales records in its first month the Samsung Galaxy S4 may not be as popular as first thought, as reports roll in suggesting the Korean firm is reducing its orders. According to ETNews, Samsung has slashed its July orders for Galaxy S4 handsets by almost half, as it looks to ship in 6.5 million units next month compared to the 12.2 million in pushed May. Sales have apparently begun to slow at faster rate than expected, which has led Samsung to reevaluate its monthly orders to meet the reduced demand. The downturn in interest isn't a surprise as the post-launch demand dies away, but it may have been exacerbated by the fact Samsung has announced not one, but three new variations of the Galaxy S4 in the past month. Consumers could well be holding out for the Samsung Galaxy S4 mini, Galaxy S4 Active or even the Galaxy S4 Zoom to hit stores before handing over their hard earned cash to the South Korean outfit. Of course Samsung has also come under increasing pressure this year from other manufacturers with handsets such as the HTC One and Sony Xperia Z stealing some of the limelight - and some of the customers too. Game over for Galaxy S3? Samsung is also mulling over the possibility of retiring the Galaxy S3 early, with the handset being relatively similar in design and performance to the S4. The fear is the Galaxy S3 could be another factor cannibalising S4 sales, although an exact time frame for the S3's demise hasn't been revealed.